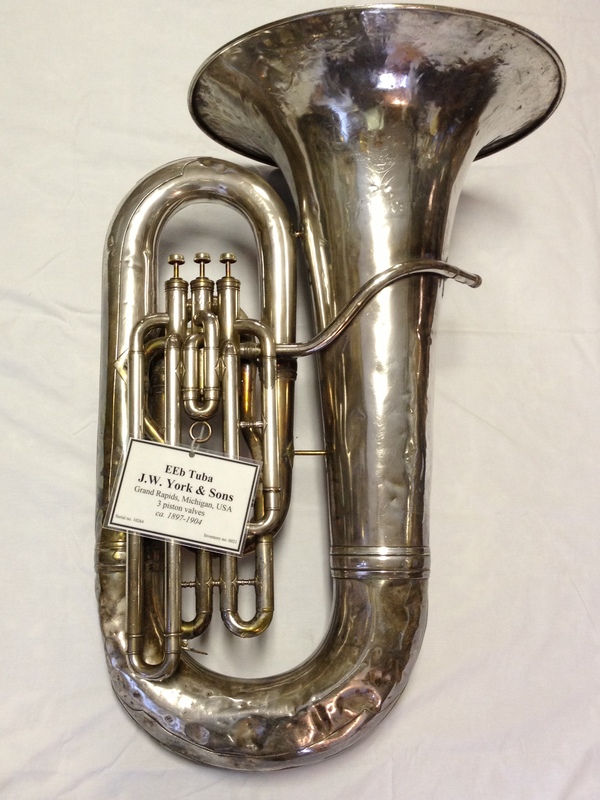 This is the York “monster” EEb tuba. 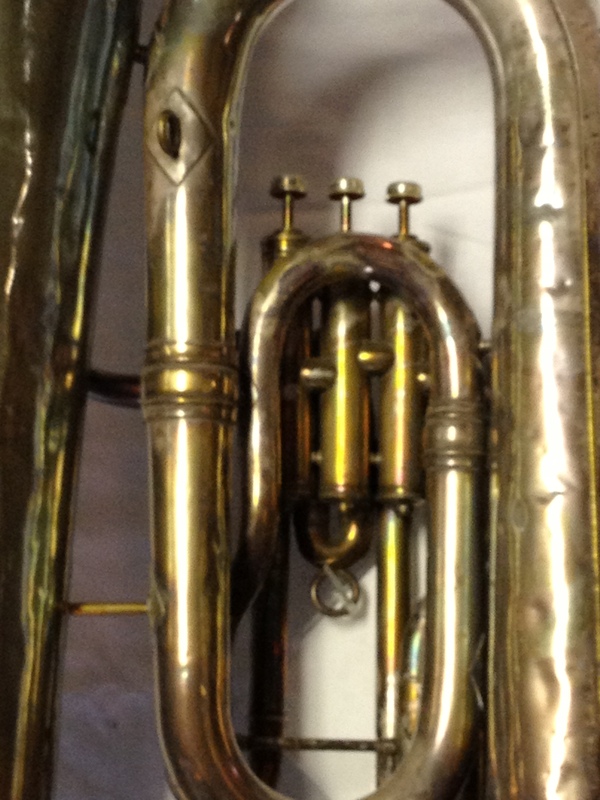 The designation EEb is used instead of Eb to denote a larger e-flat tuba, intended to be used in the range of the BBb tubas. 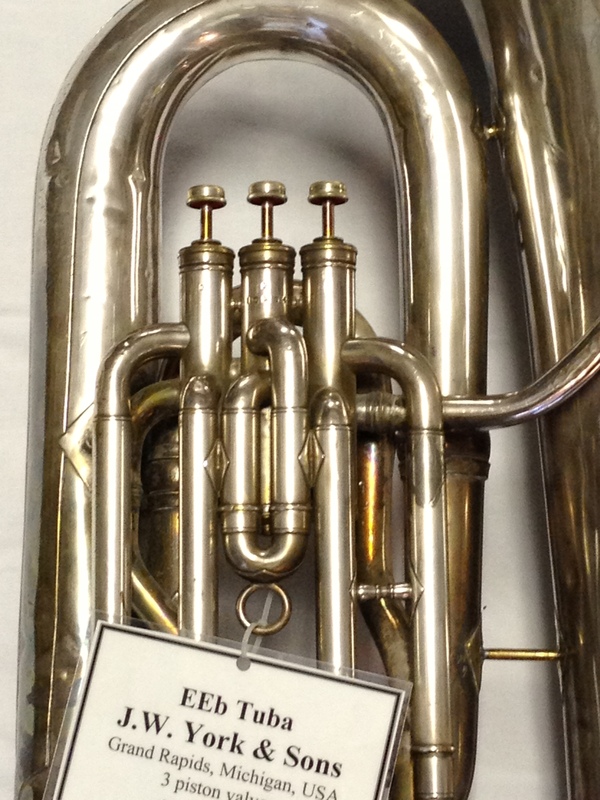 This is perhaps the definitive version of a monster EEb, which is an e-flat tuba sized to replicate breadth of sound usually found in a BBb tuba. 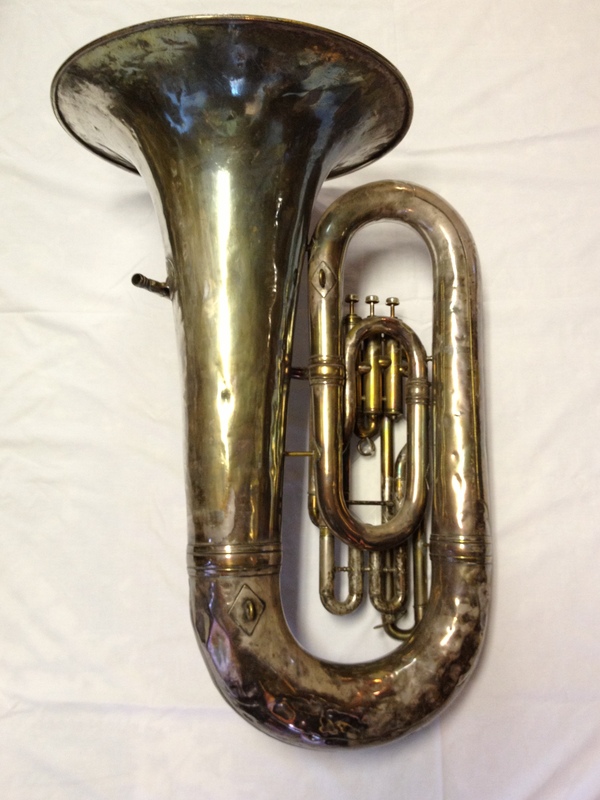 The York EEb monster is well thought of even today, and was said to be the bell/body basis of the popular G50 Getzen CC tuba. This particular monster pre-dates the 1910 York patented hi/lo pitch “donut” slide, so this high pitch model makes due with a “W” tuning slide to achieve low pitch. The W shape was to allow for the extra required length, while still keeping the tuning slide out of your lap while playing. “Made By / J.W. York & Sons / Grand Rapids / Mich.” on bell. “W.B. Van Velsor” added to bell later. 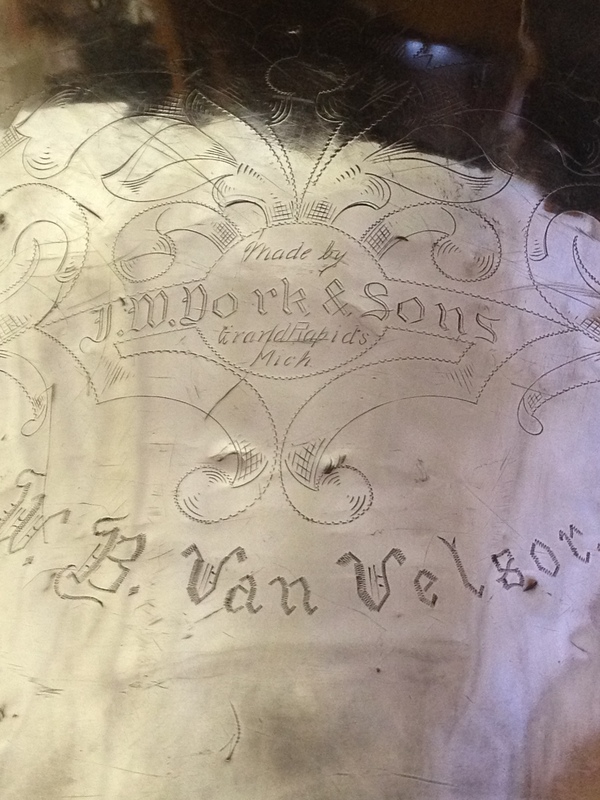 Some floral engraving around identification marks. Hi Charles! Please send pictures of the full front, full back, close up of engraving on bell (if there is one), and close up of valve section. Please also send measurements of the height and bell diameter. This will help confirm it is or isn’t a EEb. Send the pictures and information over to Vincent Simonetti at vsimonetti@nc.rr.com. Thanks!